For a long time now, meditation has been known to scientifically affect your life in many amazing ways. It can help you relieve stress, improve your work performance, build better relationships with family and friends, and just basically let you live life to the fullest. Meditation is the best way to improve your lifestyle for the long haul. Plus, it is non-invasive, easy to do, and very easy on the wallet. So, if you are feeling the extreme need to turn your life around and make things happen for you without having to go through all the stress, meditation is the way to go. However, many people who have tried meditation find it hard to do without any professional guidance. This is why Mindvalley has developed OmHarmonics, one of the best audio technologies that will help you get the many benefits of meditation. 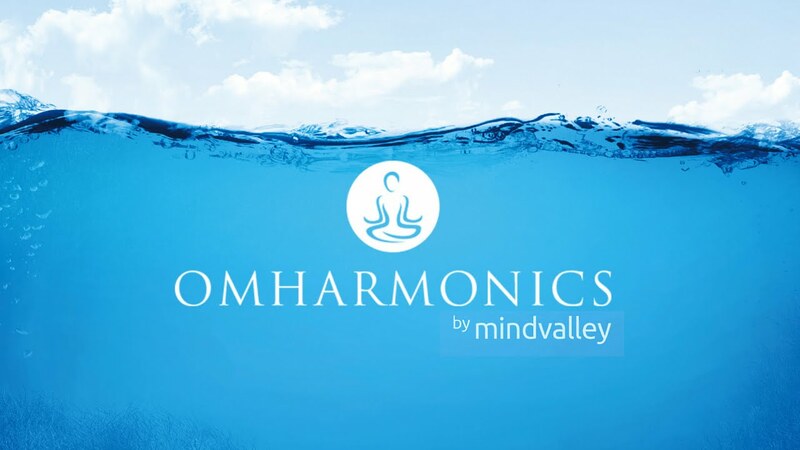 OmHarmonics by Mindvalley utilizes a nifty kind of brainwave technology called binaural beats. Binaural beats are carefully engineered sounds that are specifically tailored to affect your brainwaves almost instantaneously. These binaural beat patterns will help your brain to relax and utilize all of its functions so that you will have better performance. OmHarmonics’ binaural beats meditation audio technology puts you in a deep state of meditation in just a few short minutes, no matter how many distractions are happening in the background. The use of binaural beats in meditation has long been discovered by physicist Heinrich Wilhelm Dove, and Monroe Institute’s founder, Robert Monroe. They have studies to support the effectiveness of binaural beats. OmHarmonics is not the first one to use binaural beats meditation audio technology. However, what sets OmHarmonics apart? Firstly, OmHarmonics uses NeuralSync Technology alongside binaural beats. NeuralSync Technology synchronizes your mind and body so that you can enter that deep meditation state immediately—perfect for those with busy schedules. Secondly, OmHarmonics uses Intelligent Guided Flow Technology. This technology aligns your current brainwaves and eliminates the resistance that your brain builds up against relaxation. This way, you will be able to relax faster even when you’ve had a very rough day. Lastly, OmHarmonics also uses Mind Tunes. These are wonderfully made, high quality audio tracks that would give your meditation experience an extra oomph—unlike the other boring, monotonous, jarring meditation tracks that you may find somewhere else. By just listening to the soothing audio tracks provided by OmHarmonics, you are guaranteed clearer thinking and greater problem-solving skills, increased creativity, and generally optimal performance. With OmHarmonics, you will find yourself more relaxed despite every stressful thing that might happen to you. You will see that you can handle problems well and that you can work efficiently even when you are under a lot of pressure. Meditation has long been used to help smokers quit. With OmHarmonics, you will find a deeper connection with your body. This will help you quit all of your unhealthy habits and live a healthier, fuller life. And yes, it can even help you lose weight! Whether you work or you’re still in school, with OmHarmonics, you’ll find that your creative juices are flowing. You will have enhanced problem-solving skills and better solutions to everyday dilemmas. With OmHarmonics, you’re sure to shine like a star! Meditation brings out the best in you. When you are less stressed, you are able to concentrate on the people around you. With OmHarmonics, you are more emotionally in tune with your family and friends. Yes, OmHarmonics will let you enjoy every bit of your life—by making you more connected with your own body and with others, and by making you more confident, you and your partner are sure to enjoy more adventures in the bed. So, if you really need a better lifestyle and you don’t know where to start, you can try OmHarmonics Binaural Beats Meditation. It’s easy and effective—all you have to do is to listen, and voila! Cheers to a wonderful life ahead of you.